Croeso i'r Clwb Criw Cymraeg! What do the Criw Cymraeg do? 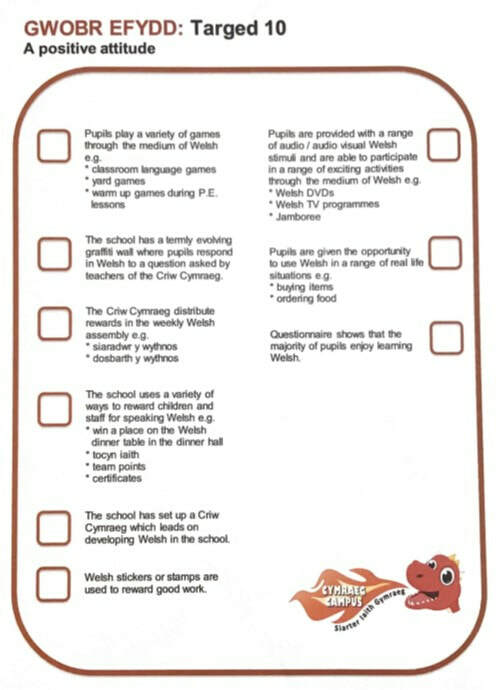 In school, we play lots of games to help us learn Welsh in a fun way and we learn how to teach other children these games too. Check out the document below to see some of the games we play- maybe you would like to play them at home too! 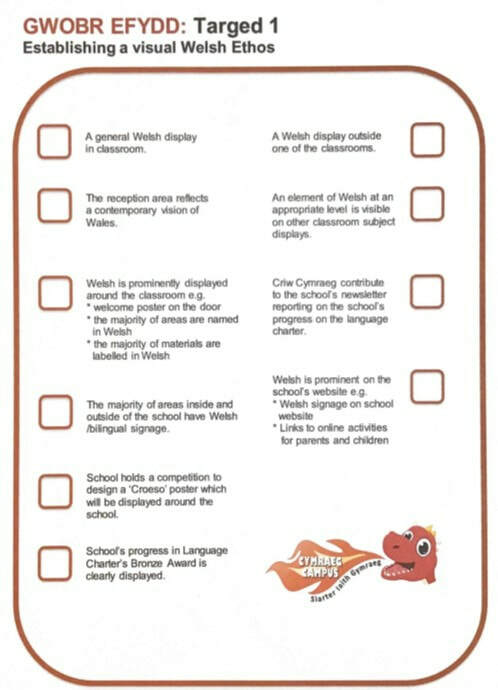 There is also a document called the Welsh Continuum added below and this shows the language patterns for all year groups. We play language games every day in Helpwr Heddiw time and give Tocyn Iaith cards out to anyone who is trying to use Welsh. The class with the most Tocyn iaith by the end of the week get extra playtime on a Friday or get to keep Delyth y Ddraig (our very own Welsh dragon) for the week in their classrooms.